Each Christmas we want to better the last. 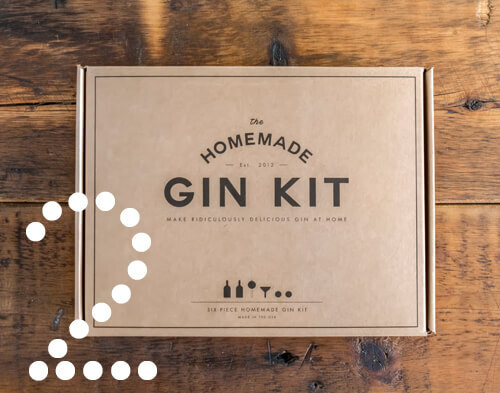 We can try cooking more, drinking more, decorating more - but really the excitement lies in the gift giving. The element of surprise is totally essential for a great Christmas! At Rockett St George we select only the best for our customers, and rest assured that you will find an array of desirable gifts within our treasure trove of a website. 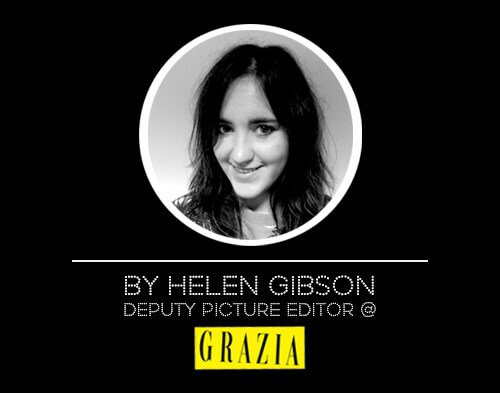 The lovely Helen at Grazia tells us what's on her RSG gift list this year. 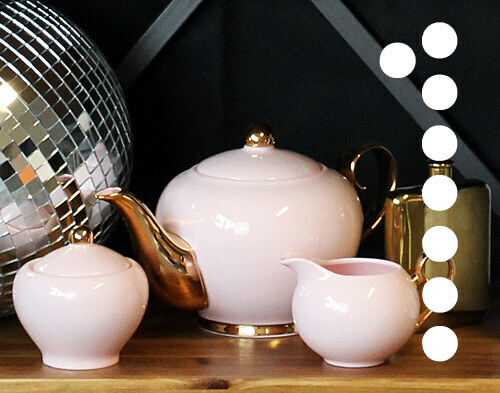 "For my tea-obsessed Mum, one cup just wont do and she’ll love this girlie pink set!" Afternoon tea with the Duchess, anyone? This elegant and pretty in pink tea set trio is the perfect gift for those tea-guzzlers of the family. The touch of gold adds a luxurious feel to make sure your Mum enjoys her morning brew in style! "For my Dad who makes his own (delicious!) sloe gin." "For My Brother, who has a lot of early starts!" 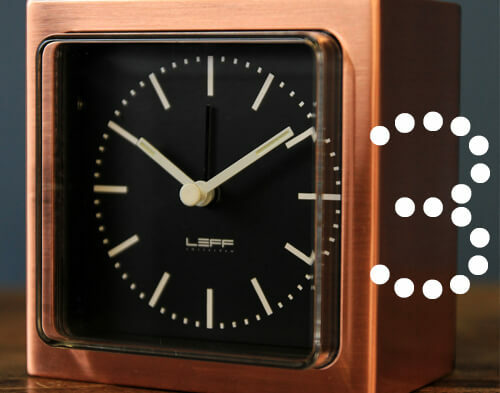 The Leff Amsterdam Block Alarm Clock is so lovely you won't even mind getting up early and having to look at the time! LEFF Amsterdam believes that life’s too beautiful for dull design and boring basics: ‘less of the same, more of the different’. We wholeheartedly agree. "For my Godson who doesn’t stop coloring, even his parent’s walls!" "For my friend that has just brought her first flat, this one will never die!" 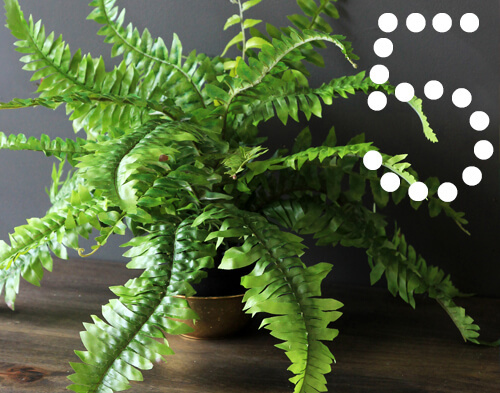 Faux plants are now so super that it is almost impossible to tell that they are not real! So, if you are like us and struggle to keep plants alive...they are the perfect answer! Mix and match to create your own garden room or use with hanging baskets for a really effective look. 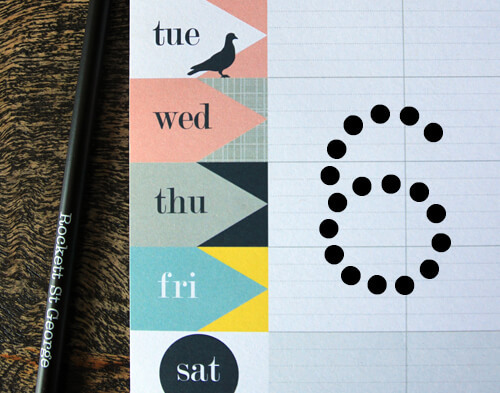 "For my work wife, aka my boss, to keep track of our workload." We could certainly all do with an organisational helping hand. Suitable for menu planning, after school activities, timetables, handing to babysitters, star charts - the list goes on! "For my book-obsessed room-mate, these will keep her shelves in order and looking chic." If we live together, what's mine is yours? Isn't that how it goes? 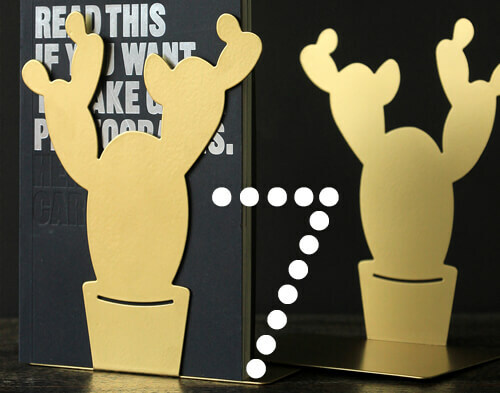 If you can bear to give these away, then the lucky recipient can keep all their favourite books or magazines in order between these cute Cactus Bookends. 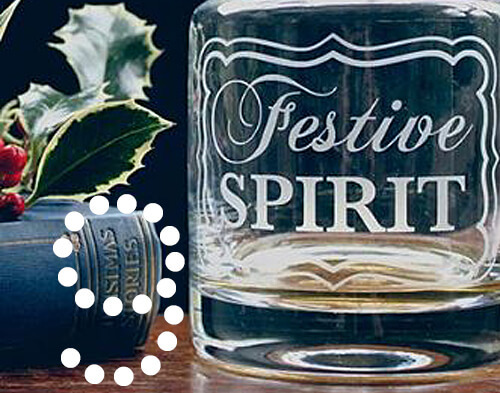 They come gift boxed with a peel off label ready for you to write a Christmassy message! "For the work secret Santa, when you work in fashion and only have £5 to spend!" 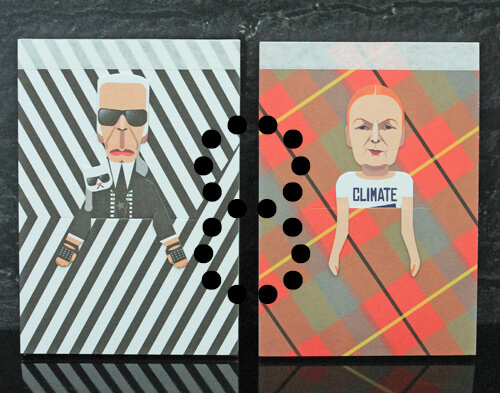 These Karl Lagerfield and Vivienne Westwood sketchbooks are ideal for jotting down ideas, drawings and designs. The figures are removable and perfect for a bookmark. A lovely surprise gift for fashion lovers! "For me! (Well, it is a time for giving!) I’m obsessed with this decanter for my cocktail cabinet." "For MY BFF - because I love her." A delicate gold plated necklace with a bold statement. 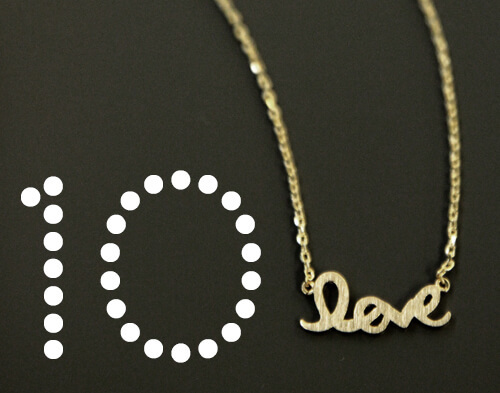 This Love Necklace looks just as beautiful on its own as it does layered with other fine chains. Your best friend will adore this piece just as much as she'll adore you! 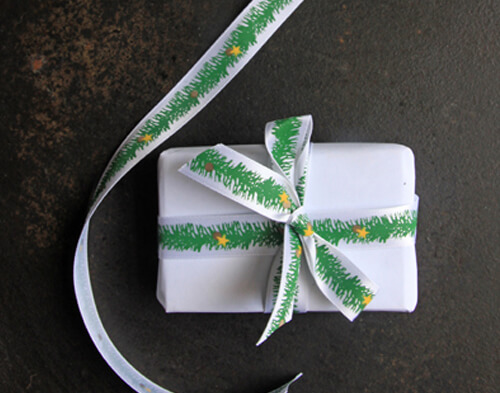 "Finally, to wrap it all up – I’m obsessed with this Christmas Garland Ribbon. So perfect to personalise your wrapping!" We love it too! 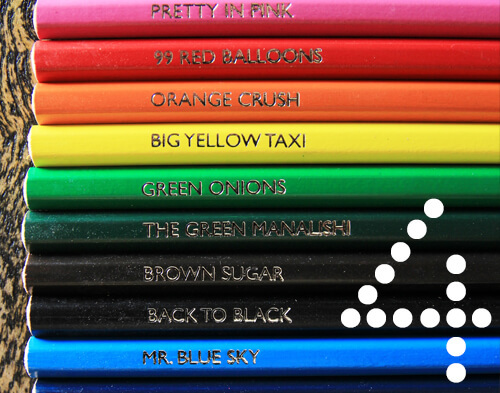 A personal touch with a colourful festive twist - what more do you need to present your amazing gifts to your amazing friends and family?